I also went to the YTOL May retreat in Northern Ontario on the weekend following the March for Life. It was a spiritually replenishing time for me! "God shows himself to us; he looks out from eternity into time and puts himself into relationship with us. "#BenedictXVI "God is Near Us"
"He who created you without your aid did not wish to redeem you without your aid. "#StAugustine via #BenedictXVI "God Is Near Us"
The topic of living as a Catholic in a modern world was really something I needed to hear. I know it’s not Christmas time, but the Oratory museum had some great nativity scenes that I just couldn’t help but take pictures of! The tiniest nativity scene from Sri Lanka in a walnut!! And last but not least, a nativity scene from #Poland. My favorite! This past weekend I went to a mini-retreat about the Holy Scriptures in Sutton, Quebec. 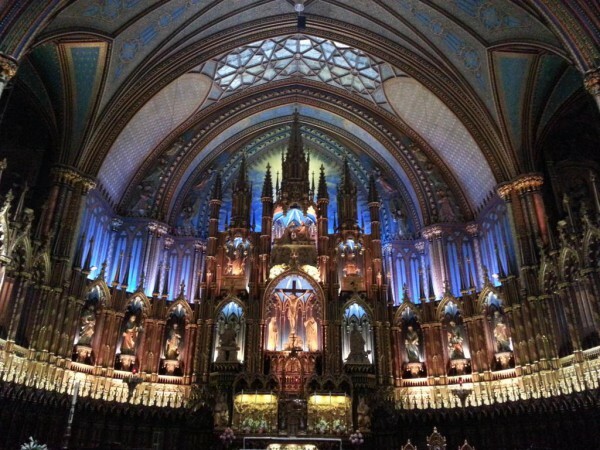 #Ottawa #MarchForLife, #Montreal Tourism, Retreats, etc. Next Next post: Happy Feasts of the Polish Armed Forces and of the Assumption of the Virgin Mary Into Heaven!